Vespa, Honda, Yamaha, are generally sold and serviced by dealerships, though there may not always be a dealer near you. See Vespa USA, Honda eStore, etc. There are also Vespa Repair experts in many areas who specialize in the classic and modern high-end scooters. The less expensive Chinese scooters, however, particularly those sold online, can pose a problem when it comes to repair -- depending upon your location. Dealers servicing inexpensive scooters such as Tank, Roketa, Roadrunner, Aprilla, Phantom, etc., are rapidly becoming as numerous as those of the higher-end scooters but scooters in general are not nearly as well supported in the US as they are elsewhere in the world. The owner of a $4000 Vespa may have no problem paying $600 to have a beloved scooter overhauled. 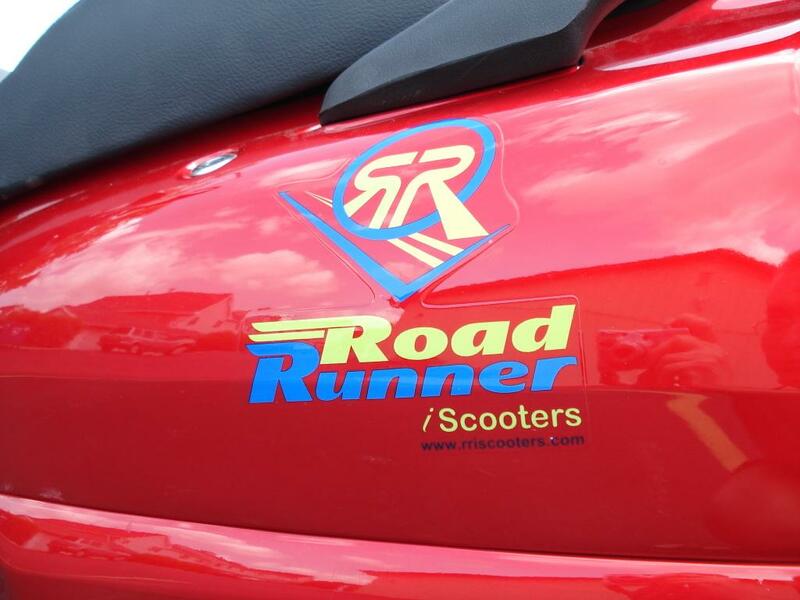 It is much harder for the owner of a $999 Roadrunner Motorscooter to consider paying $400 for an overhaul. Chinese scooter parts are less expensive, but the effort required to overhaul an inexpensive scooter and an expensive one do not differ greatly. The cost of repairing an inexpensive scooter will certainly be larger relative to the cost of the scooter than will the cost of repairing an expensive scooter. There is no question that the point at which buying a new scooter is cheaper than repair will come much sooner with a Chinese scooter than with a Vespa. It is very probable that the amount a Vespa owner would invest in maintenance would be enough to buy a new Chinese scooter every two years or so. It must also be noted that reluctance on the part of inexpensive scooter owners to spend heavily on repair causes the field of inexpensive scooter repair to be a less attractive business prospect and this factor in turn discourages the proliferation of repair facilities. In the developing world however, where Chinese scooters have reigned for decades, labour costs are so much lower that inexpensive scooters can be feasibly maintained for many years before replacement becomes more economical than repair. In the USA In general, having a scooter repaired, whether it is an expensive Vespa or Piaggio or just a Tank or Roadrunner, is not as easy as having a car repaired -- even though the scooter is far simpler. 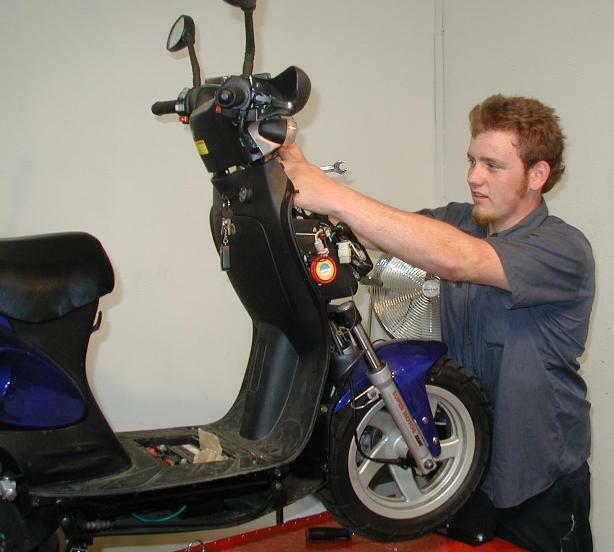 In the US, whether Vespa or Roketa, one is likely to encounter ignorance and reluctance on the part of normal auto mechanics when it comes to getting scooters serviced. Elsewhere, Europe and Asia particularly, where scooters are a dominant form of transportation, they are serviced just about everywhere. If you are not mechanically inclined yourself, and if a dealer is too far away, it would be wise to scout your neighborhood for mechanics willing to repair a scooters before making a motorscooter purchase. Check our motorscooter parts resources page for sources so you can assure your mechanic of part availability. We have compiled a partial but growing list of motorscooter repair shops in the USA. If you have any experience with scooter repair facilities and would like to make recommendations for the benefit of other scooterists, please post something in our motorscooter discussion forum. Parts Pro Direct, the arm of Allpro Powersports which specializes in motorscooter parts, has a service-center locator for motorscooters. It is a nice idea but is not particularly comprehensive yet. If you have a motorscooter repair shop or know of one you would recommend, please have it included in their directory by contacting Parts Pro at info@partsprodirect.com including name of the business, telephone, complete address, and brands serviced (or filling out their shop registration form). A very nice site, Scooter Help provides info on many aspects of scootering. 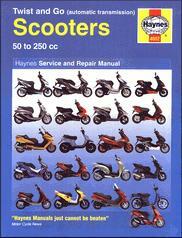 For instructions on general scheduled maintenance for motorscooters, see the Jacar Motorscooter Scheduled Maintenance Manual. The most important aspect of maintenance is regular oil changes. This is a very simple process. See the well illustrated Motorscooter Oil Change page. Changing the gear oil periodically is also recommended. For those who live in the Los Angeles area, there are several repair choices, for those wise enough not to, there are other options. The Scooter Doc in Southern California makes house calls but specializes in Vespas. Allpro Powersports in Ontario, CA, specializes in scooters, has the parts, and good turn-around time. The availability of manuals for inexpensive Chinese scooters has been a problem in some interesting ways. Firstly, the Chinese manufacturers can't write readable manuals but, apparently utterly oblivious of this fact, crank them out nonetheless (see a PDF of the TANK Urban Sporty User's Manual), and are unwilling to have properly written manuals produced. Some dedicated American scooter dealers (notably Roadrunner) are producing their own manuals to for the Chinese Motorscooters. However, as the design of Chinese scooters is thoroughly unoriginal, the mechanic is not going to encounter any surprises, and a generic scooter manual suffices perfectly well in most cases. The Tank Scooter service and repair tips from Stan Jessup's page. is an excellent collection of information for TANK owners and is nearly a complete replacement for a good repair manual! is is apparently between printings right now and more expensive than it should be. This is a general manual for Twist&Go Scooters presenting step-by-step procedures and illustrations for each operation from from basic maintenance and troubleshooting to complete teardown and rebuild. 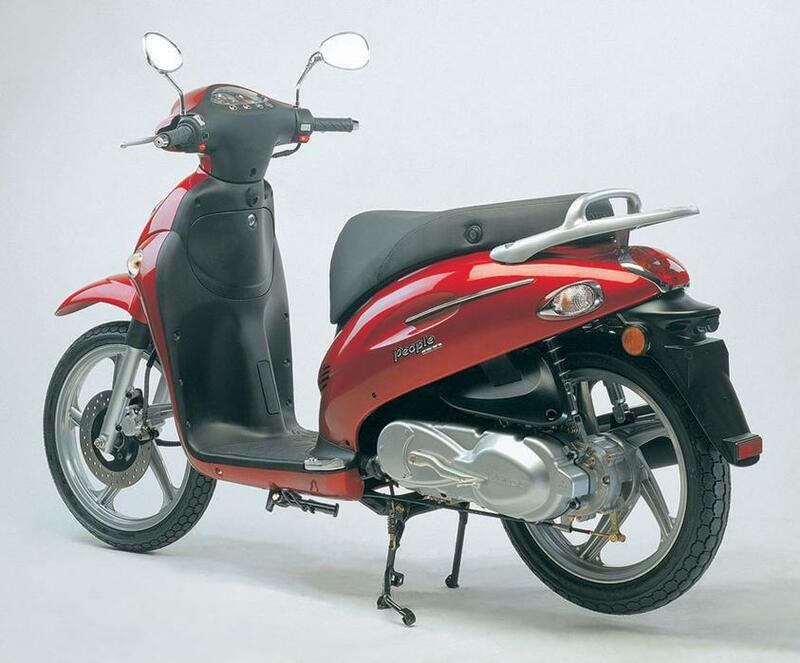 Both two-stroke and four-stroke engines are covered. The CVT trransmission in a twist and go scooter uses a drive belt and these should be examined and replaced periodically. Unfortunately, the belt specifications vary a great deal even within a specific scooter model. It is critical to know the exact belt size when ordering. The belt specifications appear on the outside of the belt itself. There are no doubt many mechanics who are willing to deal with the relatively simple Chinese scooter models, given both part and repair manual availability. Motor Scooter dealers wishing to announce products and services are invited to post in our Dealer Forum. Postings will be incorporated into this site as appropriate.